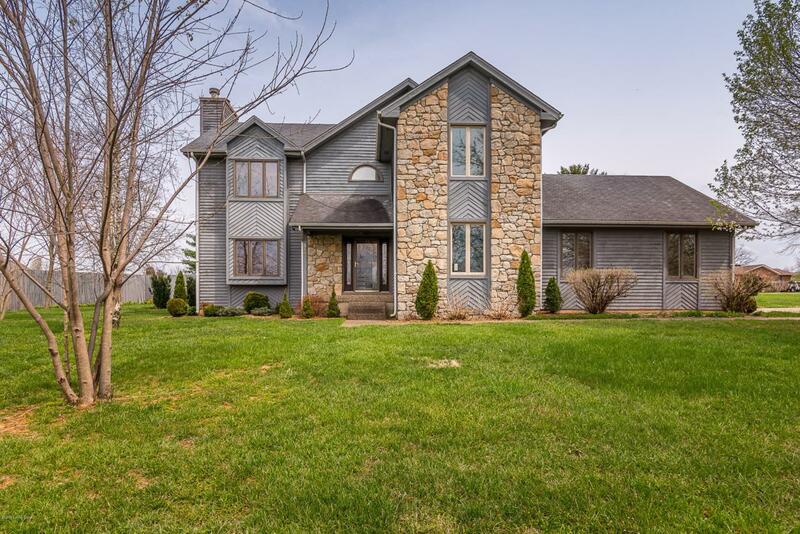 BEAUTIFUL two story 4BR/3.5BA home in Bullitt County on a CORNER LOT. The mature trees around the property provide additional privacy. Side entry, 2-car garage provides all the storage you need without taking away from the curb-appeal of the home. Walk into the bright, welcoming foyer. The living room of this home features a gorgeous STONE FIRE PLACE and FRENCH DOORS that lead out into the patio area. LARGE eat-in kitchen with tons of cabinets for storage, BREAKFAST BAR, BAY-WINDOW, and access to the back patio area. Relax in the MASTER SUITE which includes a fireplace and en-suite bathroom with separate shower.